The following videos will describe the common geometrical shapes and the formulas to calculate their area and perimeter. The videos also include the use of the Pythagorean Theorem and Heron's formula. 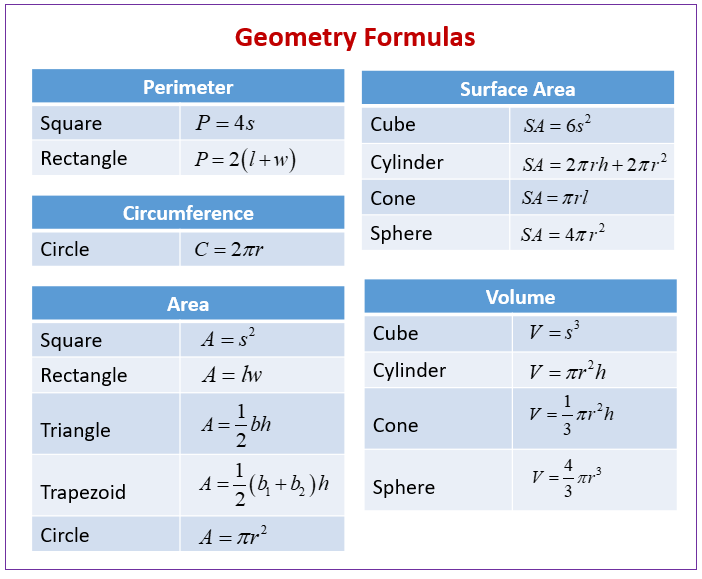 The following diagram shows the Geometry Formulas for perimeter, circumference, area, surface area, and volume. Scroll down the page for more examples and solutions using the geometry formulas.